Different species are harvested along the entire coasts of Australia, mostly by hand methods such as ‘raking’. Supply can fluctuate seasonally, the SA fishery is closed from June to October when the Pipi’s (often marketed as Coorong Pipi or Goolwa Cockles) spawn. 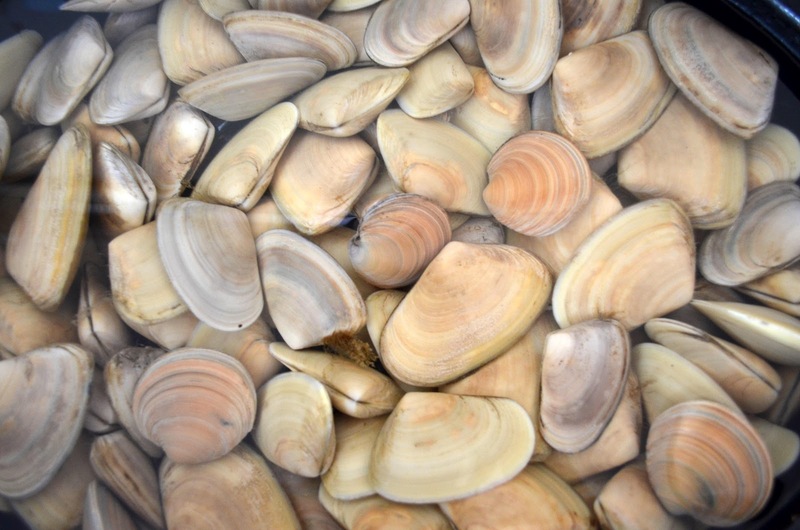 ‘Baby Clams’ might be an imported product from chinese aquaculture. Remember that fishmongers are legally required to state the place of origin in their product labelling. Pipis, cockles, periwinkles and other similar molluscs have wonderful flavours and add an interesting touch to your menu. Various species can be eaten either raw or gently steamed or poached. Alternatively, they can be used in the preparation of fritters (blended with a white finfish such as ling) or in chowders.